Stunning varieties of fresh green plants are used to create our classic dish garden gift. 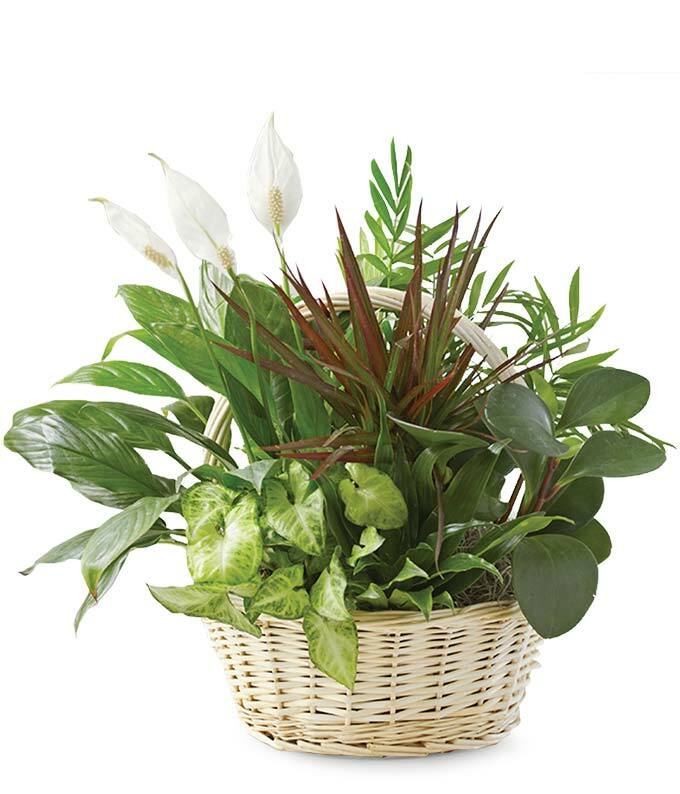 Echoing a time-honored tradition that began centuries ago in Asia, this rich garden of greenery is an exquisite gift that adds unique style to any home or office decor. Medium measures overall approximately 14"H x 7"D.